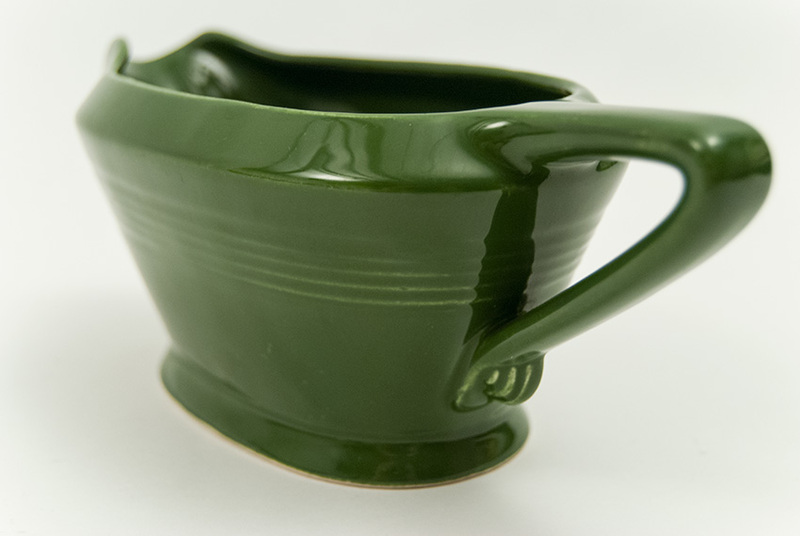 Circa 1950-1960: Homer Laughlin began producing Harlequin in the late 30s for the Woolworth five and dime stores. 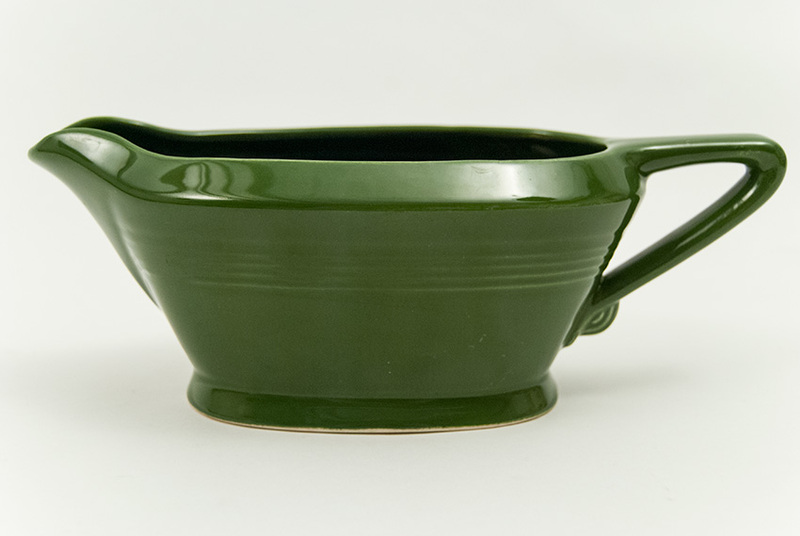 With its sleek art deco lines, the sauce boat, produced in all twelve original glazes, was a welcome and lasting addition to the Harlequin line. 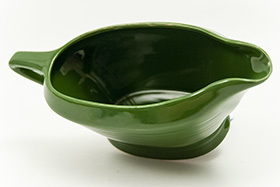 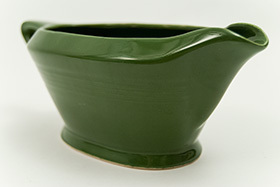 The sauce boat features nearly a one pint capacity and measures 3" in height and 8 1/2" in width. 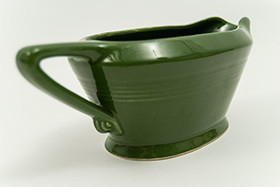 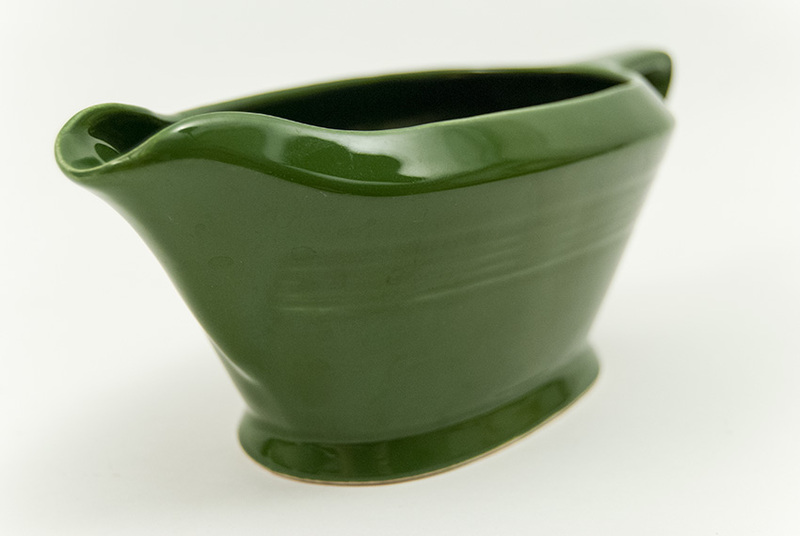 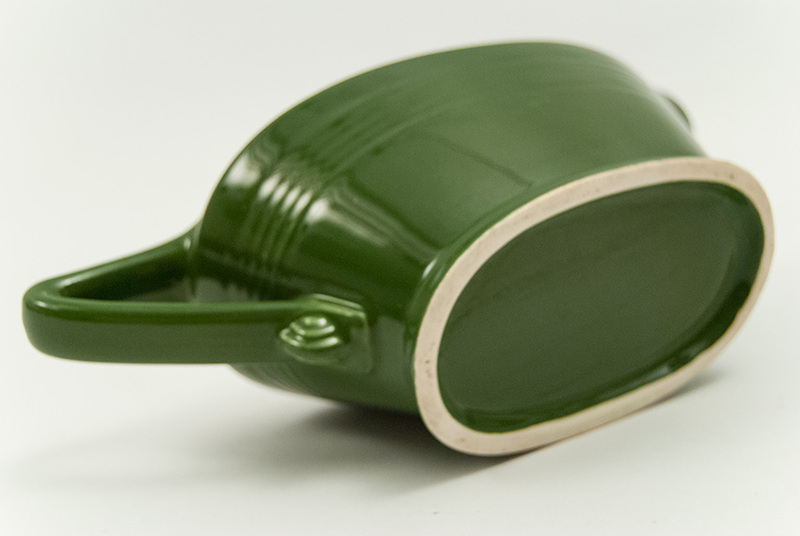 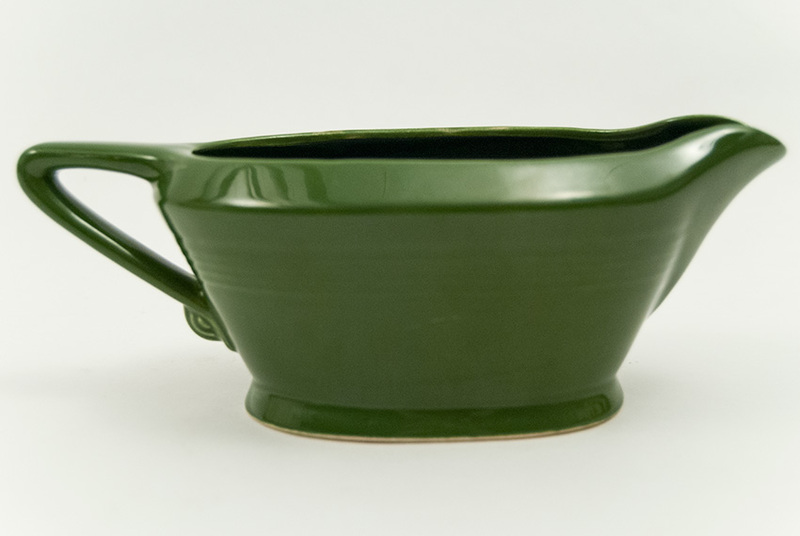 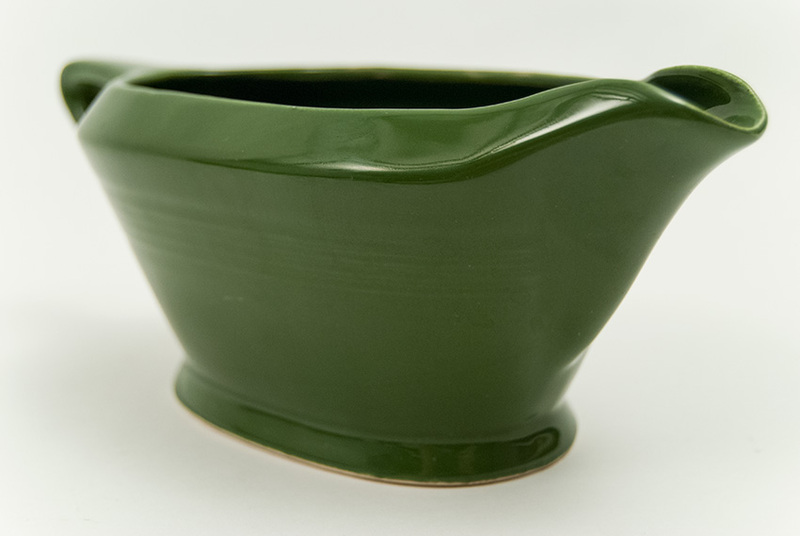 This example in original green is in excellent condition without any signs of damage or use (only minor glaze shift on one size which still leaves a better than usual example of the original green glaze). Bold and daring angular handle with subtle, yet powerful art deco influenced design elements makes even the simple sauce boat a spokesman for high design.